With technological advancement, newer problems that cause accidents are arising and one of them is texting while driving trucks. Texting while driving increases the chances of causing an accident significantly. Despite it being against the law and the fact that it is banned in many states, many truck drivers continue with this bad behavior. Regardless of the fact that many truck drivers are professional and well-trained, some still fall into this habit. Texting requires concentration and during that moment, you lose focus on the road as you are distracted by the phone. Usually, it is during this time when an accident occurs. Driving while distracted brings consequences to everyone on the road. In fact, in many cases, there will be a big crash that occurs or even multiple piles up. The 5 seconds it will take you to text is enough to make you veer off the road, which can cause a horrible crash. If this occurs be sure to call a Baton Rouge truck accident lawyer known for winning. An accident that occurs because of adverse weather conditions such as snow, rain, fog and sleet is what is referred to as a weather-related accident. Even in good weather conditions, accidents still do happen, but chances are higher during bad weather. As mentioned, snow, rain and fog are some of the perfect conditions for truck accidents. Because of the lowered range of sight and lowered grip of the truck during bad weather, accidents can easily happen. For on thing, when it is practically impossible to see the road, chances of causing an accident are very high. On top of that, 73 percent of weather-related accidents are because of wet roads following a rainstorm. Truck drivers are advised to use caution while driving in bad weather conditions. You have to ensure that your headlights are on, avoid changing lanes unnecessarily, lower your speed and remain completely focused on the road. Moreover, you have to make sure that the following distance between vehicles on the road is much more than when the weather is good. This is to give yourself time and space to react in case anything unexpected happens. With constant use of trucks, it means that most of the parts are always wearing out and thus, need to be replaced. A full load of an average semi-truck weighs around 80,000 pounds, meaning to say that the parts of this kind of truck, for instance, will wear out quite quickly. That said, brake failure is one of the most common accident causes. Brakes should be often checked, but this is not always the case. If brakes are not in good condition, the time it takes to stop a truck can be much more. In fact, the trailer can jackknife because of the brakes locking up. This shows the need to ensure proper truck maintenance to avoid accidents on the roads. Not only that, if the truck’s tires are worn unevenly, an improper pressure in the tires will cause blowouts. In other words, treadwear and pressure levels should be matched by each tire to avoid this from happening. A pivoting joint is what holds trailers onto the truck. It is important to ensure that joint is correctly attached, or there may be fatal consequences on the road. If the trailer comes loose on the road, the only way to stop it will be when it crashes somewhere. To avoid an accident from taking place, the truck being driven should be inspected to ensure that its parts are in good condition. We are confident that we can make a difference for you. 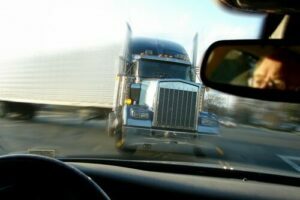 In fact, having an experienced personal injury attorney Baton Rouge truck accident law firm on your side may be the number one factor in your obtaining any recovery at all. That said, if you don’t obtain a financial recovery, you will pay no attorney’s fee or costs.